Prime Minister Narendra Modi today announced that India had joined the elite club of space powers by shooting down a low earth orbit satellite with an anti-satellite missile or A-SAT. India is the fourth country to have tested such an anti-satellite weapon after the US, Russia, and China, the PM said, addressing the nation on the success of what he called "Mission Shakti". PM Modi called it a test of India's capability to shoot down low orbit satellites and asserted that India's action was not directed against any country. India has entered its name as an elite space power. 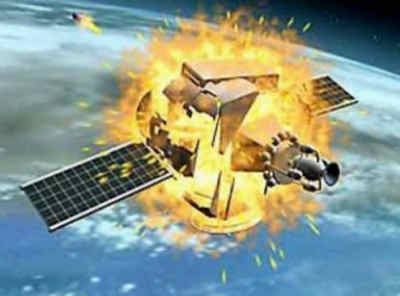 An anti-satellite weapon A-SAT successfully targeted a live satellite on a low earth orbit. 'Mission Shakti' operation was a difficult target to achieve which was completed successfully within three minutes of launch. PM Modi said the A-SAT missile will give new strength to India's space programme. He also assured the international community that India's capability won't be used against anyone but is purely India's defense initiative for its security. Mission Shakti is special for 2 reasons -- India is only the fourth country to acquire such a specialized and modern capability, and the entire effort is indigenous. "India stands tall as a space power! It will make India stronger, even more, secure and will further peace and harmony," PM Modi said in a tweet after his address to the nation. PM Modi said the Mission Shakti was a highly complex one, conducted at extremely high speed with remarkable precision. It shows the remarkable dexterity of India’s outstanding scientists and the success of our space programme. "We're against arms raised in space. This test won't breach any international law or treaties," PM Modi said.